Why you should sign up to your first triathlon, and why “I can’t swim” isn’t an excuse not to. Your chance of injury is far lower during triathlon training compared to half marathon or marathon training. 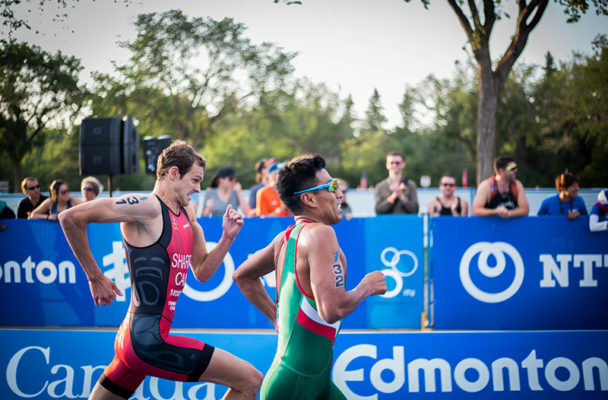 Triathlon training is far more varied and therefore more enjoyable than single-event training. Don’t feel like running today? Go for a ride instead! Triathlon training turns you into an all-round athlete. Triathlons are really fun (I promise). And yet, people are constantly finding excuses not to sign up to their first triathlon. Here are six triathlon myths busted. Triathlon swim starts are only scary if you put yourself right at the front of your swim wave. If you are not a confident swimmer (and don’t want to accidentally get punched in the face), place yourself at the back of your wave and wait 10–15 seconds after the start gun before starting to swim. You’ll have your own space and will be able to relax into your swim quickly. We recommend choosing an event with a pool or lake swim (rather than a sea swim) to begin with. The swim is by far the shortest leg of a triathlon. In an Olympic (Standard) Distance Triathlon, you’ll spend approximately 1 hour and 20 minutes on your bike and only about 35 minutes in the water. You can also breast-stroke (the entire time) if you need to! Trust me — you won’t be the only one. Wetsuit: You can get good entry-level wetsuits for around £80. Wiggle is a good place to start. Bike: You can use any type of bike for a triathlon, as long as it is road-safe. If you are keen to get a road bike, entry-level road bikes from decathlon are surprisingly good value for money, at around £300. Cycling helmet: This is mandatory for triathlon events. You can buy cycling helmets just about anywhere. Tri-suit: Tri-suits are handy because you can wear them for all three legs of a triathlon, which will save you time in transition. You can get them as a one-piece or two-piece for as little as £40 on wiggle. A number/bib belt: These are used to hold your race number and cost very little. Cycling shoes and pedals: There are two main options for these — SPD-SL or SPD. Both of these are fine, but make sure you buy the correct shoes to match the pedals. For beginners, we recommend using SPD (mountain bike-style) clips, as they are easier to clip- in and out of. Transitions (the bit between the swim and the cycle and between the cycle and the run) can be confusing to begin with, but, with a little bit of organization and practice, you can take all of the stress out of race-day. There are plenty of youtube videos with tips for practicing your transitions, and you can use triathlon towels to help organize your kit on race-day. The beauty of triathlon is that it gathers all sorts of people to participate. During a triathlon, you’re just as likely to come across someone riding a hybrid or mountain bike as you are to see someone on a 10 grand TT bike. The majority of people are there to enjoy themselves, and, no matter your level, you will fit right in. Triathlons are not as scary as you think, and they’ll help you discover new places, new friends, and new things about yourself. 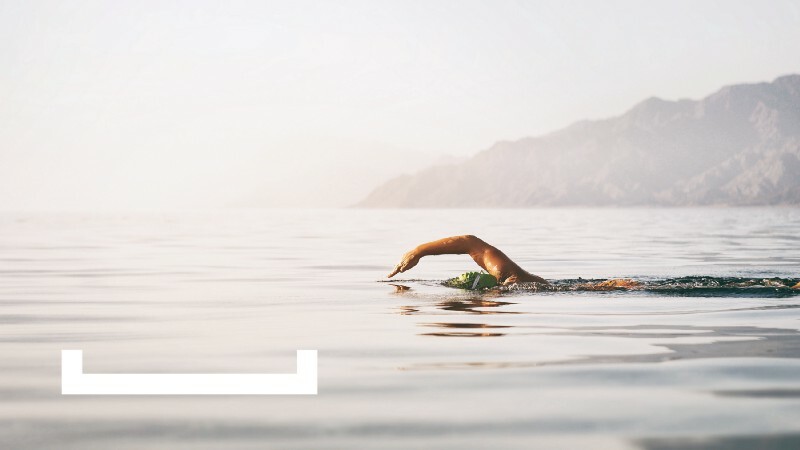 Find your next triathlon on Let’s Do This.